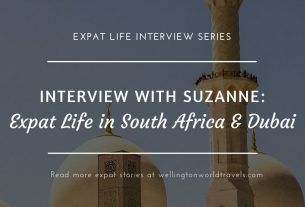 We are delighted to welcome Edel Marie Urmaza to our Expat Life Interview Series. She is from the Philippines working as a Staff Nurse in Kuwait. A: I am from Baguio City, Philippines. A: I am living in Kuwait, and I moved here alone. A: I’ve been here for almost five years now, and I don’t have any specific plans yet on how long I will stay here but definitely not for good. A: I moved here for work. I am recently employed as a staff nurse. Q: Moving from the Philippines to Kuwait, what was your first impression? A: My first impression was the difference in weather which would require an adjustment on my part. Q: What do you enjoy most about Kuwait? What were some of your favorite experiences in Kuwait? A: I like the coastal areas where you can enjoy the view while doing some exercises like jogging. A: I miss everything about home, especially the food that my mom usually cooks for me all the time. I miss home because there’s no place like home. A: The greatest aspect of my expat experience was the feeling of being responsible for myself and being independent. The fact that I need to do everything for myself like cooking, doing laundry and ironing my uniforms required adjustment. A: The quality of life is totally different, including the cultures and traditions since this is a Gulf country. Conservativism is well observed. The cost of living here is quite high. The healthcare system is not that appreciated, but the government provides assistance for the expats. Q: What are the best things to do or places to visit in Kuwait? A: I would recommend to explore the different kinds of restaurants, see the famous Kuwait Towers, and experience the desert safari. 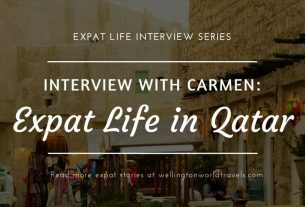 Q: Tell us about your typical day as an expat in Kuwait. A: Well, I came here for work so every day is a routine. It’s up to you on how you can make the ordinary day an extraordinary one. A: It was easy to meet people and make friends because I am a friendly person. It’s just a matter of who to give your trust. I have few friends who are locals, but mostly Filipinos. Somewhat I can say, I do fit in culturally. A: I did not experience any problem since I went thru an agency. A: We live by ‘no work, no pay’. Nonetheless, we are well compensated. Q: What are your tips or advice for anyone looking to live and work in Kuwait? A: Stay strong. Be wise. Save money. Most importantly, always pray to God. 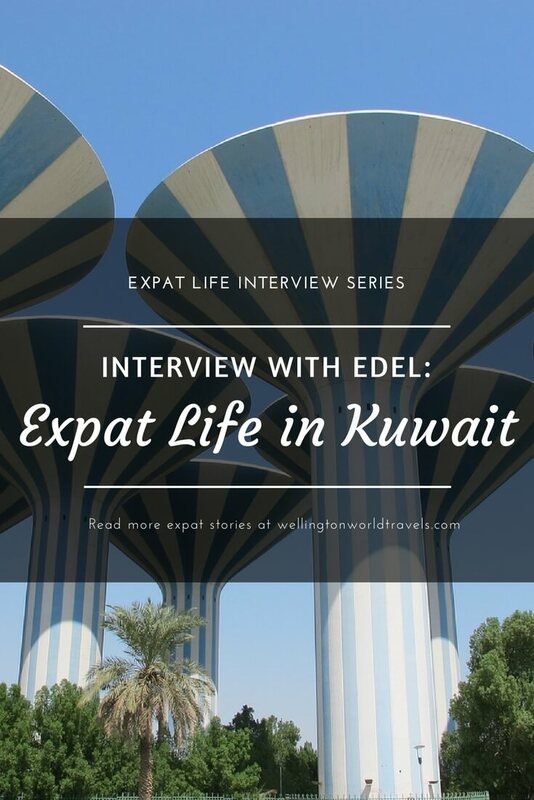 Thank you, Edel, for taking the time to be part of our Expat Life Interview Series! Though she is not a blogger, she will be happy to answer any questions you have about Kuwait. Just leave her a message in the comments below. 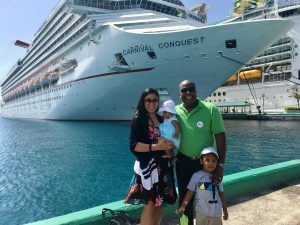 Thank you, Edel, for sharing your expat experience.